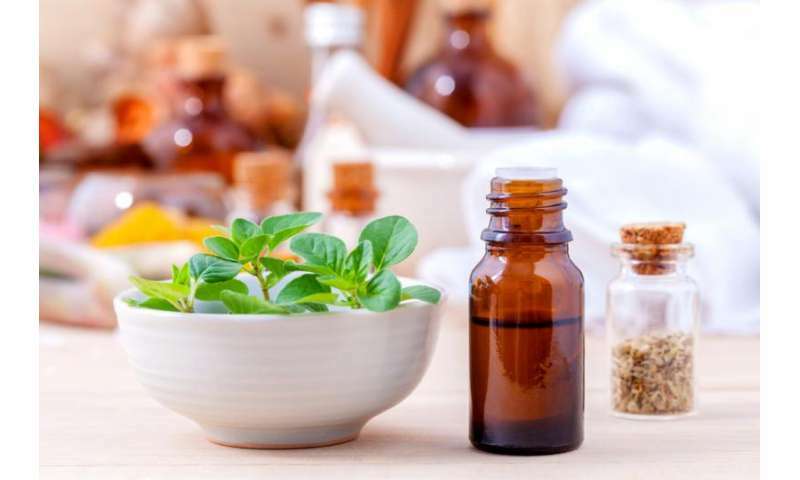 Researchers at the National University of Mexico (UNAM) have demonstrated anti-fungal in vitro activity of the essential oil of oregano and eucalyptus in a vapor phase, which have already proven effective in controlling fungi that cause diseases in fruits and vegetables. So far, they have controlled the fungus Botrytis cinerea, Fusarium sp. and Colletotrichum sp., which cause diseases in strawberry, raspberry, mango, papaya, tomatoes and zucchini, among others, as well as causing up to 45 percent of economic losses. Dr. Andrea Trejo, head of research, explains that the eucalyptus has already been tested against fungi from the raspberry, and oregano has been evaluated in papaya, cucumber, squash, mango and tomato, and the results for both have been optimal. Another proposal is to design a model of active packaging, that is, to incorporate the antifungal in bioactive compounds on fruits and vegetables to keep them fresh for as long as possible. 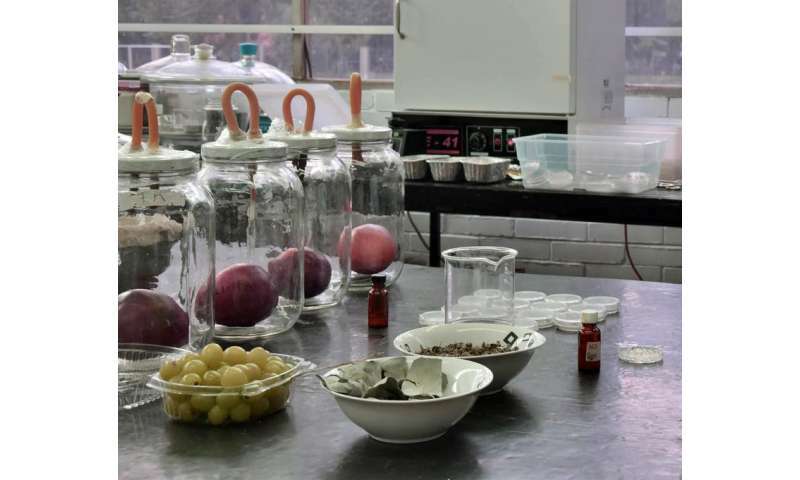 The active package developed by the university allows the controlled release of antifungal agents contained in essential oils to control disease-causing fungi during storage of fruits and vegetables. 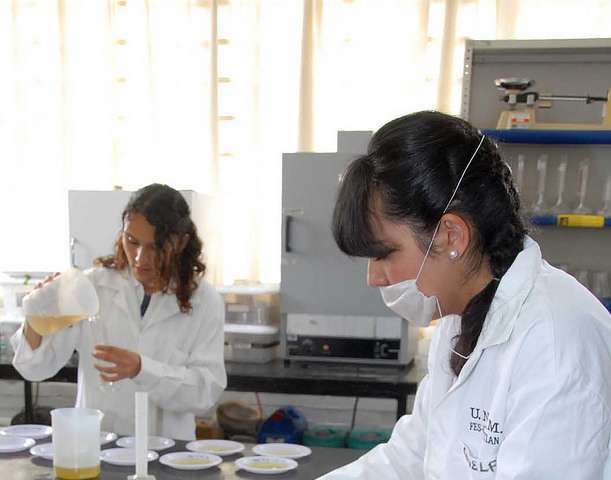 "From the encapsulation of these compounds we are looking to have a controlled release to avoid the presence of microorganisms in the fruits and vegetables. However, it will only be effective if attacked by the fungus the essential oils work against," explains Dr. Trejo. The specialist says that active packaging technology can provide safe food and extend its life. The incorporation of certain additives to the packaging material maintains its quality, safety and sensory properties without directly adding active agents in the product. "The idea is that the packaging materials incorporate the antimicrobial agent as an additional protective barrier. It is a method of preservation which extends its life and reduces the risk of transmitting pathogens to food. " Currently, researchers are in the process of evaluating applications for different plant products and observe the sensory part because despite the bioactive compounds not being in direct contact with the product these are volatile and could affect the flavor. Meanwhile they are preparing the patent and its technology transference.